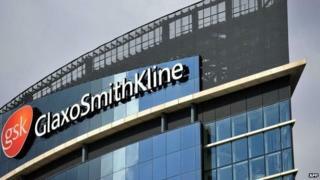 China has fined UK pharmaceuticals firm GlaxoSmithKline $490m (£297m) after a court found it guilty of bribery. The record penalty follows allegations the drug giant paid out bribes to doctors and hospitals in order to have their products promoted. The court gave GSK's former head of Chinese operations, Mark Reilly, a suspended three-year prison sentence and he is set to be deported. GSK said it had "published a statement of apology to the Chinese government and its people". "Reaching a conclusion in the investigation of our Chinese business is important, but this has been a deeply disappointing matter for GSK," said chief executive Sir Andrew Witty in a statement. "We have and will continue to learn from this. GSK has been in China for close to a hundred years and we remain fully committed to the country and its people," he said. "We will also continue to invest directly in the country to support the government's health care reform agenda and long-term plans for economic growth." Mick Cooper, analyst at Edison Investment Research in London, said: "GlaxoSmithKline will hope that this will draw a line under events in China, but it will take time for its Chinese commercial operations to recover." This is a humiliating outcome for one of Britain's biggest companies: pleading guilty to systematic bribery, facing the biggest fine in Chinese history and making an abject apology to the Chinese government and people. Today GSK said it had learned its lessons, and one of those is clearly that foreign companies need to keep a close eye on China's fast changing political and regulatory weather if they are to prosper, or even survive, in this promising but perilous market.